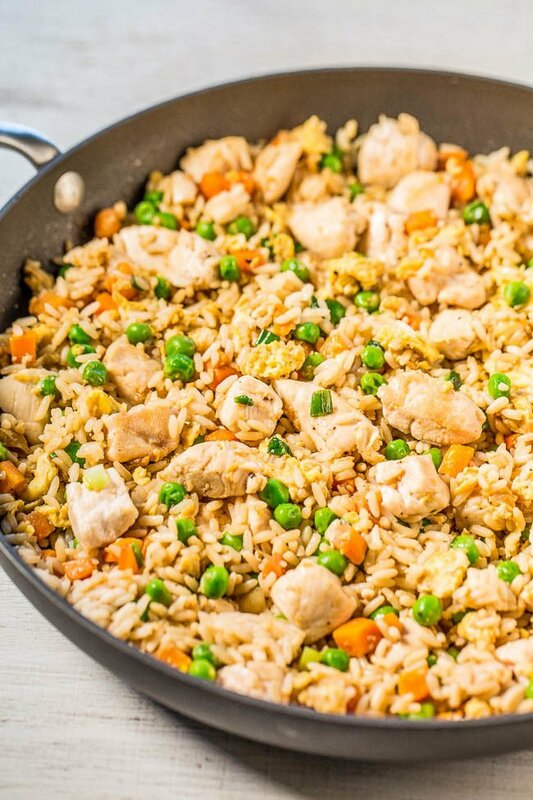 One of the most popular posts on my site the past year has been my Easy Better-Than-Takeout Chicken Fried Rice recipe. There’s even a video in that post to show you exactly how to make it and you’re basically recreating that recipe but with shrimp. 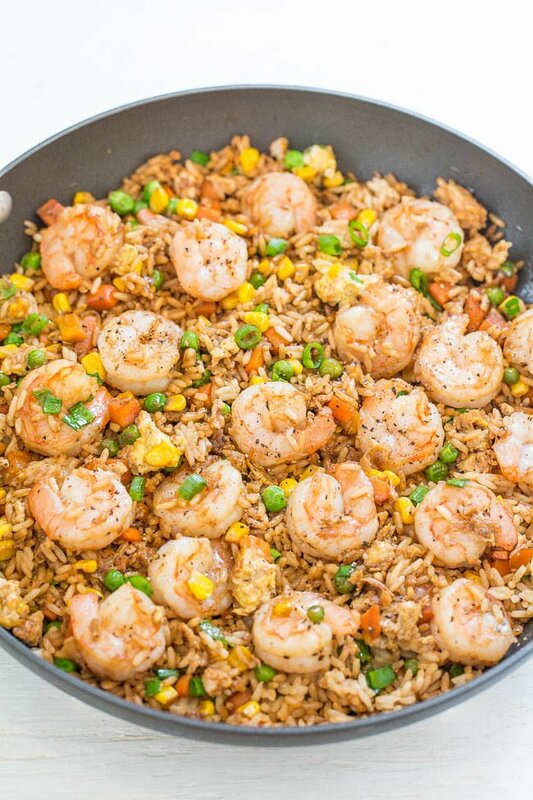 It’s an easy, one-skillet recipe that’s ready in 20 minutes and tastes better than takeout. It’s healthier, not greasy, and you’re going to love it. To save time if you don’t have leftover rice on hand or don’t want to cook a batch, use two pouches of ready-to-serve rice. Works like a charm. I don’t even bother thawing the frozen peas, carrots, and corn that’s mixed into the rice. Feel free to add edamame, bean sprouts, mushrooms or whatever floats your fried rice boat. The shrimp is tender and juicy. I use fresh shrimp from the butcher because I think it has the best flavor but if you’re in an ultimate hurry you can use frozen shrimp that’s already been cooked and all you have to do is thaw it. There’s garlic, ginger, green onions, sesame oil, and soy sauce for layers of flavor while peas, carrots, corn, and bits of egg add texture. 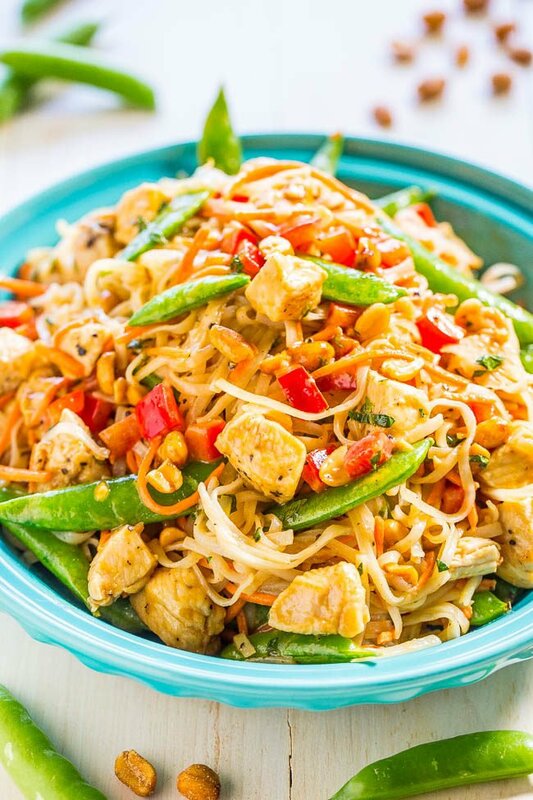 It’s a perfect weeknight meal when you’re in a rush want a break from the usual chicken dinner. 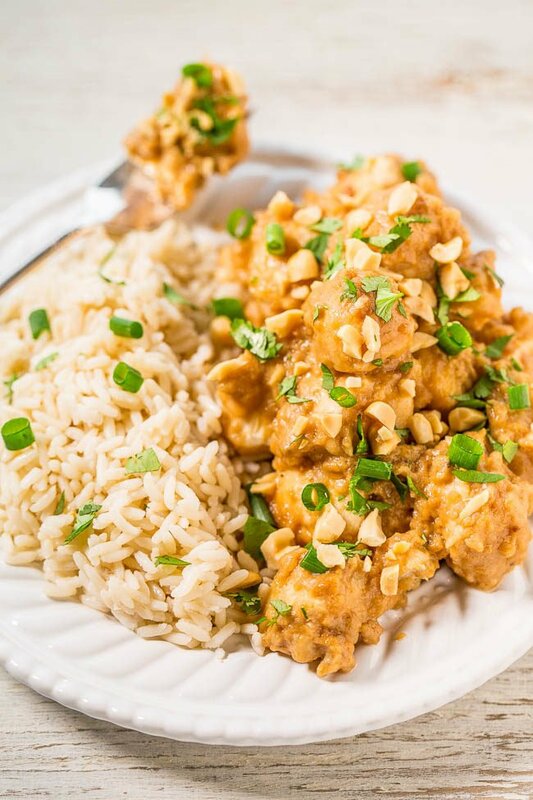 This is an easy, one-skillet recipe that’s ready in 20 minutes and tastes better than takeout; it’s healthier and not greasy. To save time if you don’t have leftover rice on hand or don’t want to cook a batch, use two pouches of ready-to-serve rice. The shrimp is tender and juicy. I use fresh shrimp but you can use frozen shrimp that’s already been cooked. 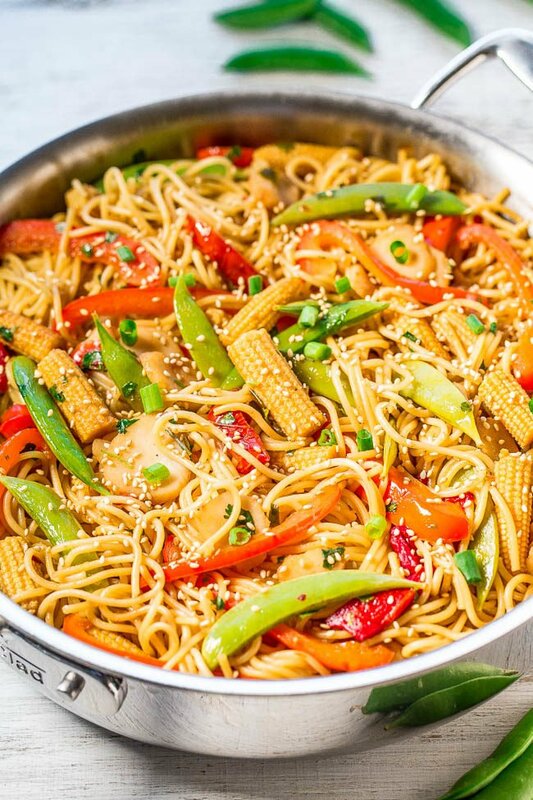 There’s garlic, ginger, green onions, sesame oil, and soy sauce for layers of flavor while peas, carrots, corn, and bits of egg add texture. To a large non-stick skillet or wok, add the oils, shrimp, and cook over medium-high heat for about 3 minutes, flipping halfway through. Cooking time will vary based on size of shrimp, don’t overcook. Remove shrimp with a slotted spoon (allow oils and cooking juices to remain in skillet) and place shrimp on a plate; set aside. Add the peas, carrots, corn, and cook for about 2 minutes, or until vegetables begin to soften, stir intermittently. Add the garlic, ginger, and cook for 1 minute, stir intermittently. Push vegetables to one side of the skillet, add the eggs to the other side, and cook to scramble, stirring as necessary. 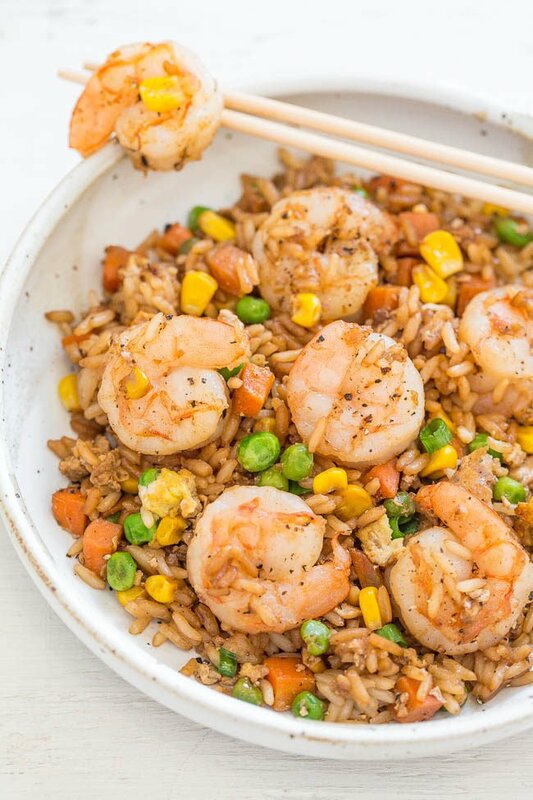 Add the shrimp, rice, green onions, evenly drizzle with soy sauce, evenly season with salt and pepper, and stir to combine. Cook for about 2 minutes, or until shrimp is reheated through. Recipe is best warm and fresh but will keep airtight in the fridge for up to 5 days or in the freezer for up to 4 months. Reheat gently as desired. 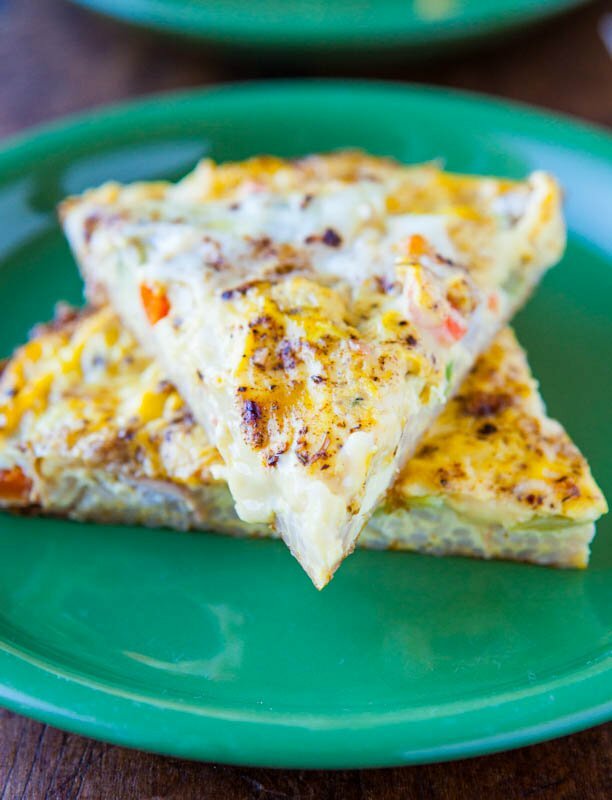 Vegetable Fried Rice Frittata – A fried rice and vegetable stir fry that’s baked with creamy eggs! Fast, easy, and healthy! 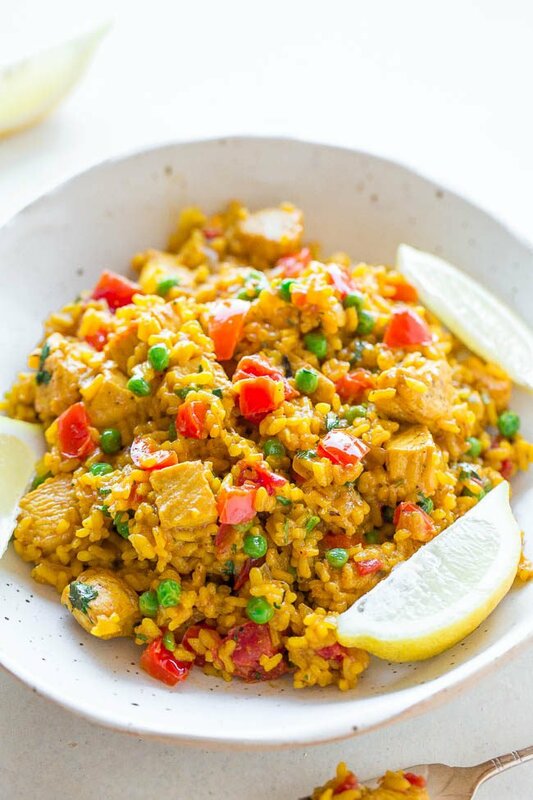 Easy Chicken Paella – If you’re never made paella before, here’s how with this easy recipe ready in 45 minutes! 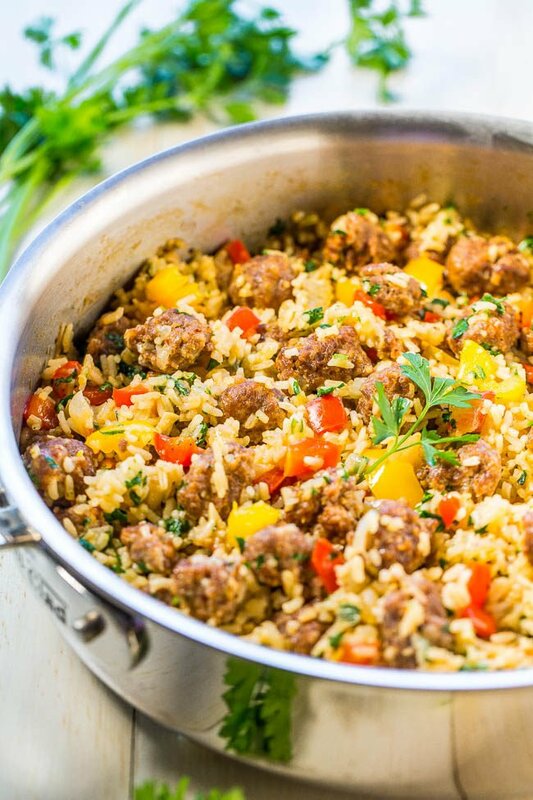 Juicy chicken and tender rice with onions, peppers, tomatoes, and more! I know we’ll love this as much as the chicken version and I’m anxious to try it! Awesome! Keep me posted and let me know what you think! MMMMmmmmmmmm! Okay, yes I want some! Sort of made this tonight. I had chicken, leftover roasted cauliflower, leftover roasted mushroom caps…added corn and matchstick carrots (from a bag). The sauce and the aromatics were the same tho’. It was awesome even with my random ingredients!! Thanks much saved my night! Thanks for trying the recipe and glad it came out great for you! The random ingredients sometimes are the BEST! I love roasted cauli and mushrooms, I bet it was excellent! Nomnomnom! This recipe looks amazing. I want to try it! 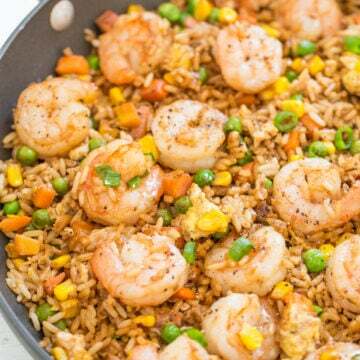 Jordan loves shrimp, I bet this would get her to eat rice, lol! Lol that’s right…she won’t eat rice! I forgot what you’re dealing with! I’ve been anxious to try this because we loved your chicken fried rice and a friend just gave me some ramps yesterday. I’ve never had them but was excited to use them tonight. The shrimp version is just as delicious and since we love them both, a combination of the two might be fun in the near future! Glad you tried the shrimp version and loved it! And yes a chicken/shrimp combo would be great! Could I use canned peas/corn/carrots? It’s all I have but I really want this! Another great recipe! I really enjoy how healthy you make these. I used brown rice and added more veggies. Omg this was awesome and seriously easy! Thank you for helping us get out of our normal dinner funk! Thanks for trying the recipe and I’m glad it came out great for you and got you out of the dinner funk! How do I share this recipe with a friend via email? I would send her the link to my website. 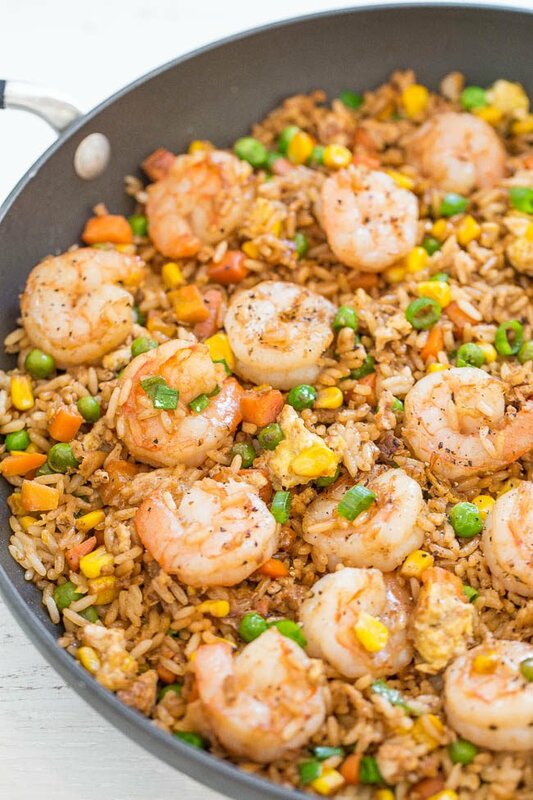 I just tried the shrimp fried rice and it was so easy and yummy! And it took almost no prep time which I LOVE. Thank you! Yes and that’s what fried rice is for us…mostly rice with some other bits and pieces mixed in. You can always tinker with the ratios to suit your needs although this is a very popular recipe with readers as written and people write saying they love it as is. I’m so glad you love it and that it’s a family fave! Tried this dish for dinner tonight; it was amazing. The only change I made was to first season my shrimp with some Old Bay for a little flavor kick. Thank you for a winning recipe. Thanks for trying the recipe and I’m glad it was amazing for you! Click on the Nutrition Information box underneath the recipe for an APPROXIMATE estimate of the stats. Great recipe! I have to cook at least once a week now since my family fell in love with it! Thanks for the 5 star review and glad this is a weekly hit for your family! Could you use the already cooked and deveined frozen shrimp? Yes but I feel like they lack a bit of flavor. And I would add them very close to the end so they do not become rubbery. I tried another fried rice the other week and was a bit disappointed. Found yours today and it was perfect! I omitted the corn, but other than that followed the recipe. We made homemade YumYum sauce and my daughters were thrilled! Thank you! 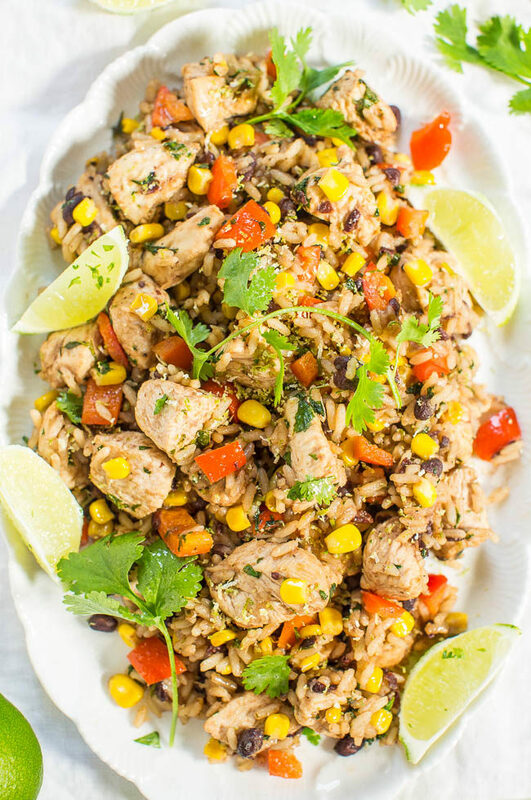 Delicious, quick, and easy! Thanks for the 5 star review and glad my recipe did not disappoint! I made this last night for my husband (who says he doesn’t like shrimp…HA!) and son to take to work with them in the morning. Feedback…an emphatic DELICIOUS! I saved a little bit for myself…gotta agree with them! (wish I’d saved more) . I’ll definitely be making this again. Thanks for the 5 star review and glad you all loved this dish!